Stories are the wildest thing of all, the monster rumbled. Stories chase and bite and hunt. Thirteen-year-old Connor O’Malley is not having an easy time. At school, he faces bullying and loneliness. At home, he has to deal with a recurring nightmare which torments him nearly every night. And then there are his mother’s cancer treatments, which leave her feeling exhausted and unwell and in need of the help of her own mother. Connor doesn’t particularly get on with his grandmother, and he sees her presence in the house as an uncomfortable intrusion. One night, Connor wakes up with a voice calling his name. The monster outside, a Green Man-like creature, tells Connor that he has come to tell him three tales. When he’s done, he wants Connor to tell him a fourth. He wants Connor to tell him the truth, and he won’t settle for anything less. First of all: A Monster Calls completely shattered me. My friend Vivienne had very helpfully warned me to keep tissues at hand when I read it, but somehow I didn’t expect to go through a whole box. This is an extraordinarily moving story, and not in the easy tearjerker sort of way that a story about grief in clumsier hands has the potential to become. What makes it so affecting is exactly how unsentimental it is, how restrained, and most of all how perceptive and emotionally genuine. 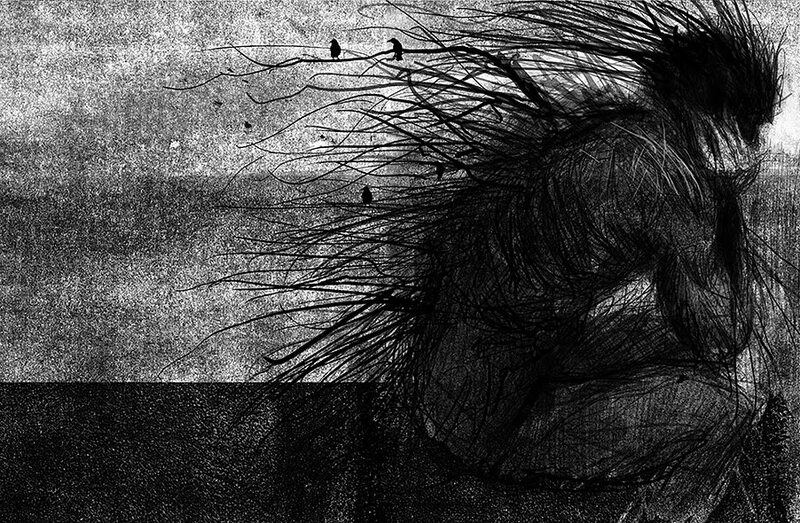 You can tell from the start that A Monster Calls is going to be a story about dealing with loss. This is true enough, but just as much it’s a story about the power of stories. The monster’s three tales are complex and ambiguous and help illuminate real life’s lack of black and whites, much like the overall story is doing. The novel is very impressive at a conceptual level, in the sense that it comments on what it hopes to achieve (on what it most certainly does achieve): here’s a story communicating things that are too raw and uncomfortable and painful for straightforward conversations, and inside it you have tales that very consciously do the exact same. Human beings tell stories for myriads of reasons, but this is certainly one of the foremost. How else do we address what we can’t quite acknowledge? How else do we communicate what we fear will unravel us if worded directly? How but with the aid of stories do you work through these complex, troubling, momentous and messy emotions, especially if you’re thirteen years old? Because they work at multiple levels, because they respect their audience’s intelligence, stories like A Monster Calls do this without ever becoming didactic or heavy-handed. Implicit to Connor’s story is the acknowledgement that these are deadly feelings, for adults and teenagers alike. These are feelings that can destroy you if you don’t work through them. But at the same time, the story absolutely refuses to pathologize Connor in any way. He’s a human being reacting to his circumstances in a perfectly understandable way, and although this is not how he sees himself he’s never portrayed as anything but. This is perhaps its most subversive and defiant aspect, the most obvious way in which this story “makes trouble”. But it’s of course trouble of a kind we’d all do well to welcome. A Monster Calls reminded me quite a bit of I Kill Giants, which as some of you might remember I read and adored last year. But I think I actually liked this more. I Kill Giants does what it set out to do very well indeed, but A Monster Calls (perhaps in part because it’s longer) has added depth and a far wider emotional range. It makes me gladder than I can say to know that a book like this is out there in the world, within reach of those who might need a monster just as much as Connor did. And I mean this far more widely than saying that A Monster Calls might offer comfort to someone facing similar circumstances; might do what an entire army of Well Meaning and Concerned adults never could – though I have no doubt that it might. But the wonderful thing about stories as good as this is exactly that their emotional truths always go far beyond their concrete facts. A Monster Calls was based on an idea by Siobhan Dowd, the Carnegie-winner author of Bog Child and three other novels, who passed away from cancer in 2007. Wow! You just write reviews so darn well. I am so glad I wrote mine first, as I wouldn't have been able to after reading yours. No one reviews books like you do and I am so glad to see you back. Sorry about the tears though. Vivienne, you're too kind! Just so you know, I loved your review. And no need to be sorry at all! It's not often that a book gets to me so much, but I appreciate it when it happens. It seems that being away from the blog has not lessened your review-writing brilliance. Holy crap girl. I have a huge stack of books that need to read yesterday, but I pledge to you that if my library has this, it will be mine. Wow. Yay. The combination of Ness and Dowd was sure to be winner and your excellent review has me wishing I owned a copy so I could read it right now. Wow. This sounds wonderful. I'm off to see if it is available at my library! Wow, this sounds like such a moving and important book. Maybe they should sell it with a box of tissues. An unsentimental story about grief? You've convinced me (as you usually do, reading our reviews is horror on my tbr list)! It sounds like such a wonderful book, I really need to order it. It sounds special and moving and important. What a great combination. hmm, usually I adore being American! just one comment though, you might want to rethink calling the lead character - Connor - COLIN?? Jeanne, Bina, Caroline and Kathy, I really hope you'll enjoy it (even if some of you have to wait a little longer!). This looks absolutely stunning!! I haven't read any of Ness's work at all, so I think this might be the place I want to start. Going to see if my library carries it RIGHT NOW! Wow, your praise for this book seems so immense! I simply had never heard of this book before, and would love the chance to read it and see just what the secrets behind this narrative are. It sounds like a book that it truly moving and one that also deals with the difficult aspects of life. By the sound of things, this book might easily make a top read of the year for you perhaps. Fantastic and enthusiastic review, Anna! I'm so looking forward to reading this. While I'm going to have to wait a while for it to come out here, I might actually need that time to prepare myself for the emotional intensity of it. Thanks for the heads up about needing a whole box of tissues. Wonderful review. Beautiful review, as always. I haven't heard of this book, but I have read one of Ness' books. The illustrations are amazing. They evoke so much emotion. Thanks for bringing my attention to this book. I'm happy that I'm in the UK. I might actually have a chance of reading it soon! Well, I fought the urge to read your review all day because I wanted to read the book first, but I finally gave in. I am weak, what can I say. But I'm not the slightest bit sorry that I did, because now I want to read it all the more--and I honestly didn't think that was possible! Btw, it was interesting to hear you say that it reminded you of I Kill Giants. Every time I hear of this book, I think of I Kill Giants, so I really wondered if there would be any similarities. And wow--to hear you loved A Monster Calls even more, that's pretty high praise indeed. Wow! This ticks all the boxes for me by the sounds of it. I love books that make me cry, love stories within a story, and have previously enjoyed Ness's writing. Just need to read the last book in the Chaos Walking trilogy, and then I am definitely going to read this one. Wow, your review has blown me away. I am writing this from the clouds right now, I'm kind of afraid to come back down. This book sounds like such a well written and creative take on loss. I just added it to my TBR. Ness is just rocking my world. I will buy this; book buying ban be damned. I'm glad I still have all of Ness to discover, so the wait until September won't irk me. 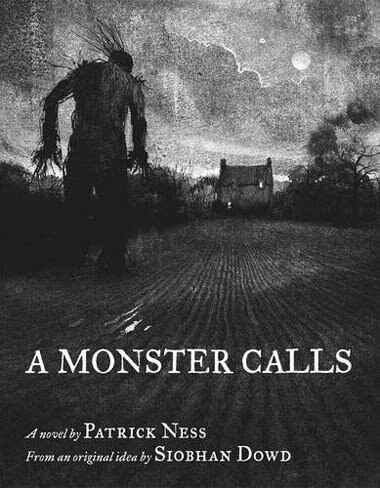 I've seen this on other blogs and absolutely love the cover of A Monster Calls. I know that The Knife Of Never Letting Go shattered me, but not The Ask And The Answer. I'm curious how I'll feel about A Monster Calls. Your review is convincing as per usual. 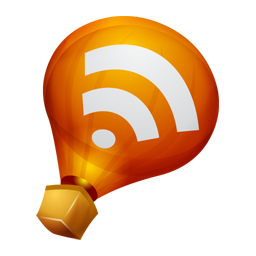 I'm so glad you are back to blogging, although my TBR wishlist is just going to get longer! Anyway, I just wanted to say hi! Haven't heard from you in a while, though I've seen you commenting around now, so hopefully that means you have more time! Well, I left reading this until I'd had chance to read the book (had it a week or so, but just not had the time i wanted to give it). Wow, sounds like a beautiful book. Thanks for writing so well about it. I deliberately didn't read your review until I wrote my own, and yet I come by here and find that you had already said all I had to :) Even down to mentioning I Kill Giants. It is a wonderful book. And the illustrations are just marvellous. I think it would make a great book to read out loud as well. When I read the synopsis, I thought of I Kill Robots as well. I am happy to hear you say that you liked A Monster Calls better as I Kill Robots was fantastic. I need to get my paws on this one! I so want to read this one. It definitely reminds me of I Kill Giants which reduced me to a sobbing mess. I can only imagine the impact this one will have on me. I love the cover and heard a couple of thoughts from other folks on this book that were all in the positive. Your insight has made me debate if I want to read it in the printed book format or download to my Nook. Ack. I hate dilemmas like this. And where was I for I Kill Giants?! Disappointed in myself, I am...soooo behind. That first paragraph alone is enough to make me drool. This one is so good! It's on my Kindle wish list now. OH I so have to read this one. I just finished the Chaos Walking series earlier this month. Ness is so talented. I put off reading your review until I had finished the book myself. Now, here I am, blubbering again. Like you, this book completely shattered me. Patrick Ness got it absolutely, perfectly right. And he did it beautifully. Good God. You've written a review that is in and of itself a thing of beauty and truth. And you've got it exactly right on A Monster Calls. SO, so glad that he's won the Carnegie for this.